This is crazy - that is all the snow there is! but then again it was much better than muddy farm fields. 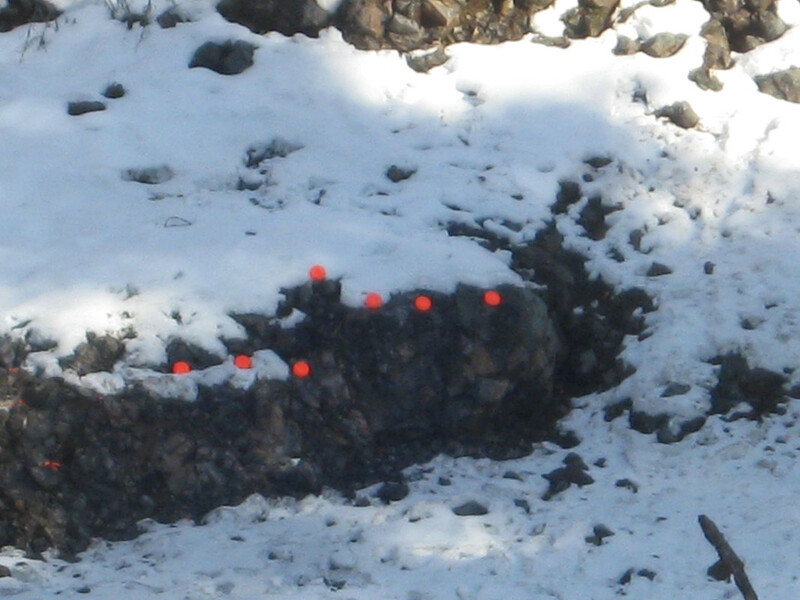 I had pretty much sighted the rifle in the other day so this was nothing more than burning some more powder and a pleasure trip just getting out of the house.Anyway - I got set up in the pit and walked 7 birds down to the end of the Rock Pit and placed them on the rock ledge. I know in my mind... that shooting a ML to 100 yards is really no big deal anymore. Almost any ML you get these days - 100 yards is not much of a challenge. But dang it sure is lot of fun to take aim on the 4 1/4" disc and have them disappear after you pull the trigger. You really get to know you hit something. I was shooting this new Knight Nitride ML, and I know that it really is not that much different than my SS model - but for some reason I really think it shoot better! I know it is all in my feeble mind - but one of my coaches in the old days told me "if you believe" you can make it happen! Right now I believe! I was shooting 120 gr. BH209 by vol. 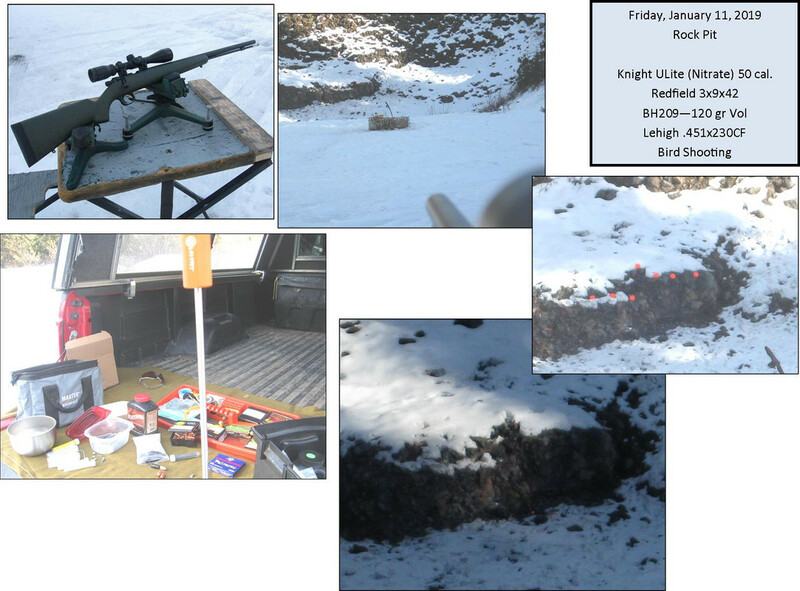 with a HPH-24 black sabot and the new Lehigh .451.x230 CF bullet. It really is not that new - I think it came out early fall last year. But that bullet is another thing that I am really sold on. Gosh! it is a great medicine for deer. After shooting the hand placed birds, I then turned the rifle on 'targets of opportunity'! There were several spots that chips of previous birds were resting on a rock. These require a little more attention to shoot. 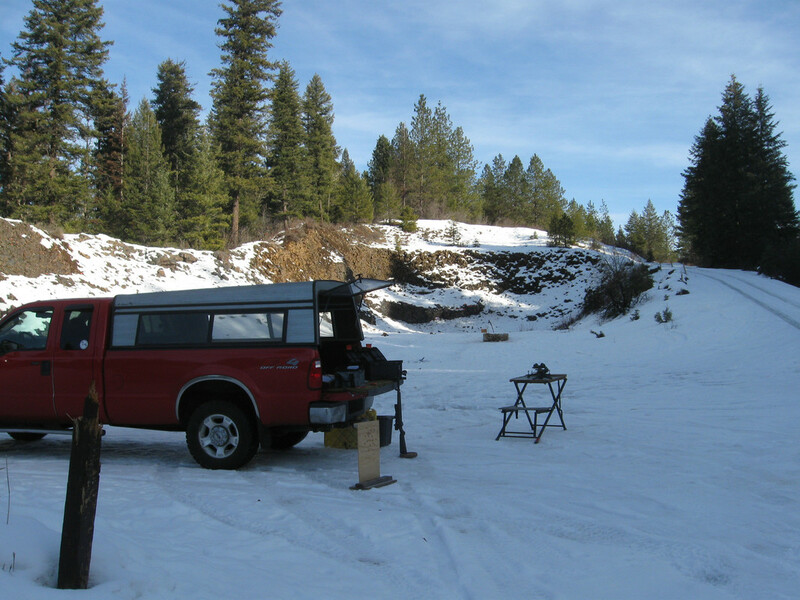 I sight a rifle in with a 3" PBR and at 100 yards that works out to about 3" high. So I do have to hold slightly low on a chip to hit it. If you look to the left and down a little bit from the left bird in the setup, you will see one of a small group of chips that become 'targets of opportunity'. Here is a collection of pictures of the shoot. Todays project is.. clean the rifle - which really shouldn't be much of a problem. But! - I have never cleaned a Nitrited bore before - and in my mind it should easier and quicker. The breech is clean - looks new so it really is the bore I am focused on. Thanks for the great report. Some good shooting there. What group size do you get on paper? I really did not shoot a true group. 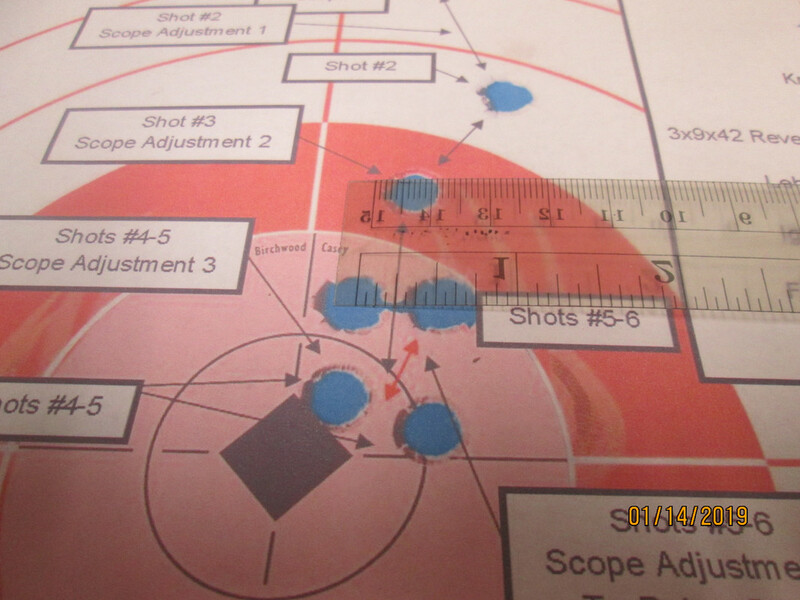 I shot two - two shot paper holes. The first two measured about 1/2". 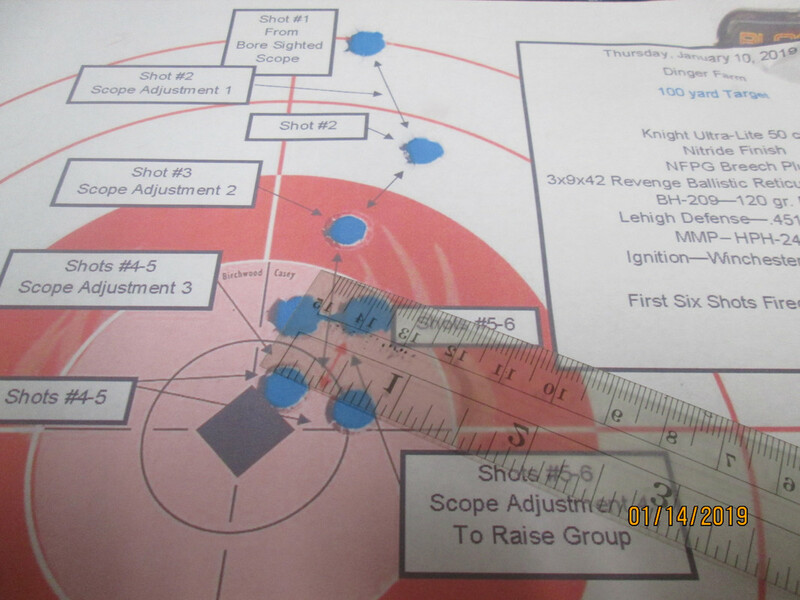 Then the second group - I had raised the elevation 2 clicks and shot another 1/2" group of two. After these four I went to shooting bird chips!!! Last edited by sabotloader; 01-14-2019 at 08:16 AM.